The editor-in-chief of the Serbian Geopolitika (Geopolitics) magazine Slobodan Eric visited the Voice of Russia's studios and spoke with John Robles regarding many of the current issues facing Serbia today. Robles: What are your overall views on the current Brussels agreement with Kosovo and in what ways does it go against United Nations Resolution 1244? Why do many people consider it to be a capitulation? Eric: I believe that the treaty signed in Brussels is damaging to Serbia. This agreement is not only inconsistent with the United Nations Security Councilresolution 1244, but is also directly contrary to the Serbian Constitution. The EU presents the Brussels treaty in the positive light, as a treaty that normalizes the relations between Belgrade and Pristina. It's essence is the agreement that some municipalities in Kosovo are given a certain degree of self-government in such areas as culture, security, they will be able to influence the choice of the police chief. But there are no international guarantees of the fulfillment of this treaty that will give next to nothing to the Serbs. The majority of the EU countries and the USA have recognized Kosovo's independence. But the problem is that this self-proclaimed state does not fully control its territory. I mean the northern part of Kosovo. The goal of the Brussels treaty is to correct that situation. But in the North the Serbs have their own government institutions, healthcare organizations and the Serbian currency is used. By the way, that issue of control over the territory is not purely political. A part of the resources of the Trepca metallurgical plant, which used to be one of our land's industrial giants, are located in the North of Kosovo. Let me also mention the water resources, Gazivoda Lake, for example. And there is another thing that is rarely discussed in Serbia: it appears to me that the EU is trying to partially shift to Serbia the burden of financing Kosovo. To date, Serbia has been financing its institutions in Kosovo, while the new treaty implies that the funding will go into a special bank account in Pristina. One can suspect that a part of the transferred financing will go not only to finance the needs of the Serbian communities, but also for some other structures in Pristina. Robles: In your opinion what is the real agenda of NATO and the West in the Balkans? What is your opinion of the Hague Tribunal on the former Yugoslavia and why did NATO and the West violate post WWII agreements with regards to redrawing national borders in Europe when it came to Serbia and the former Yugoslavia? Eric: I am sure that 99% of the Serbs share my position: the Hague tribunal is an example of the abuse of the idea of justice. The point of any court is objectivity and impartiality. But regarding the ICTY it is sufficient to say that the Serbs got terms amounting to over 1,000 years in prison, while the Croatians and the Muslims got about 50. Here is another paradox: the football fans of the Partizan club involved in the killing of Brice Taton, a French football fan, got longer prison terms from the Serbian justice than the Croatians and the Muslims got from the ICTY. I must say that Russia is one of the few states, which tried to influence the ICTY work through the UN Security Council. And I must thank the independent Russian legal advisors who helped to defend the Serbian defendants. Robles: In your opinion what is the real opinion of the Serbian people with regards to Kosovo and why is the voice of people who are critical of protagonists of the Brussels agreement and European integration not being allowed to be heard on media in Serbia? Eric: The majority of the Serbian population is now against the idea of the EU integration. After the 2000 turnover (when Slobodan Milošević was removed from power – the VoR) many people were in favor of joining the EU. Meanwhile, soon it became clear that the West was continuing its policy of destroying the Serbian national interests. After the decision made in the West to recognize Kosovo, the EU-enthusiasm went down, which is revealed by the social polls. Robles: What is the current state of Russian – Serbian relations? Where do you see relations between Russian and Serbia going in the future and how do you think the Brussels agreement has affected relations especially in light of the fact that Russia has been the staunchest supporter of the territorial integrity of Serbia on the international stage and continues to not recognize the independence of Kosovo? Eric: The relations between Russia and Serbia are at a high level and are constantly evolving. We have a good basis: the friendship between our nations and the cultural and historic ties. I believe that besides the initiatives coming from our authorities and our nations, the events that will take place in the world in the coming years will be conducive to Moscow and Belgrade coming closer to each other. The fundamental support of Serbia on the issue of Kosovo's independence, which Russia does not recognize, is very important. By that Moscow «bought time» for Belgrade and gave it the opportunity to further protect its territorial integrity and sovereignty. Robles: What do you expect will come out of the upcoming meeting between President Tomislva Nikolic and President Vladimir Putin? How do you think the recent Brussels agreement has affected their relations which have been friendly and positive in the past? 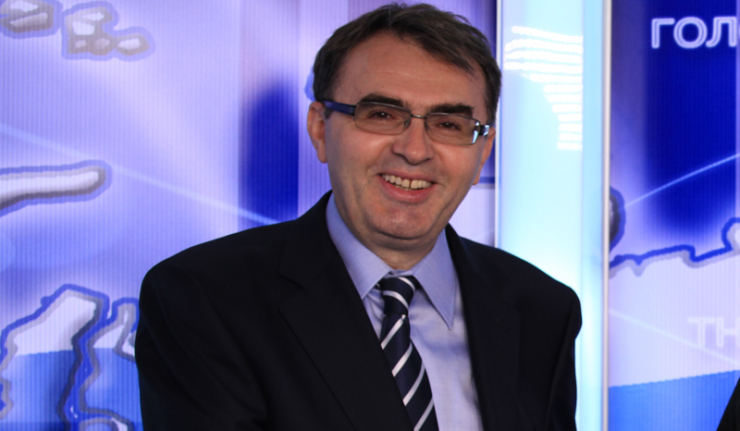 Eric: The meeting between Nikolić and Putin is of great importance. It is expected that the meeting will result in a very important signing of the agreement on strategic partnership, which is a serious step. Robles: What are your experiences with the Voice of Russia and what is your opinion of the Voice of Russia’s coverage regarding Serbia and geopolitical issues? Eric:It is very important that the Voice of Russia is on the air in Serbia. Your radio station not only offers important information, but also gives a sense of confidence to ordinary Serbs. Serbian media are such that they talk more about the USA and Europe than about Russia. That is why the analytical programs, Russian music and of course the Russian language, which has almost been squeezed out and is now returning, thank God, play such an important role. The role of the Voice of Russia is very noticeable.